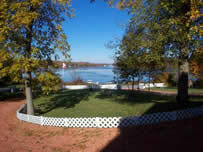 "With reference to the selling of our cottage on Rice Lake, we found Sharon to be very knowledgeable on the area in all aspects of the marketing & selling of our cottage. She made us feel at ease with the whole process. Sharon is truly the best Real Estate Representative in Northumberland area & we will recommend her to all our friends & family. SHE GOT US THE PRICE WE WANTED FOR OUR HOUSE! IT WAS SOLD IN LESS THAN A WEEK. Thank you again."